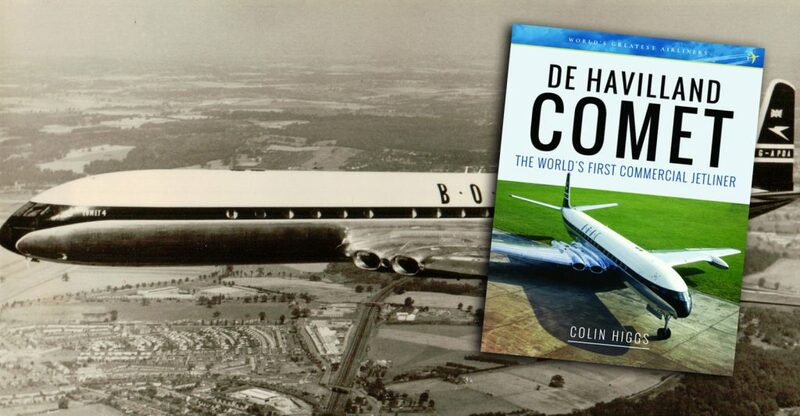 A new book from Air World in the World’s Greatest Airliners series is De Havilland Comet – The World’s First Commercial Jetliner, by Colin Higgs. Like other books in the series, this is a compact illustrated history of one of the most notable aircraft to have flown in our skies. It doesn’t take me to explain to you the history of the Comet. 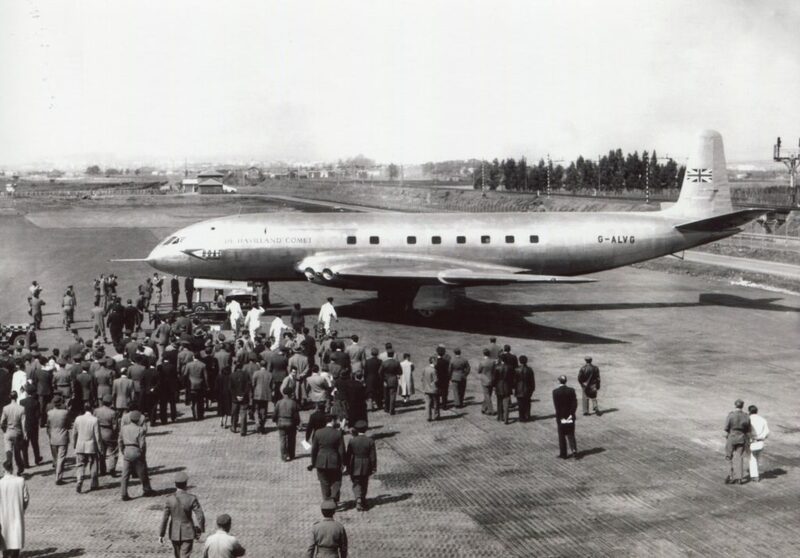 As the world’s first commercial jetliner, it was destined for great success, enjoying orders from customers around the world and wowing passengers with its speed, comfort and sleek lines. Yet a series of crashed in the 1950s saw it grounded and public confidence lost. This allowed rival types such as the Boeing 707 and Douglas DC-8 to get a foothold in the market, despite coming later, and the Comet struggled to survive despite addressing the technical issues which caused the crashes, and reinventing the Comet in larger versions capable of going farther and faster. 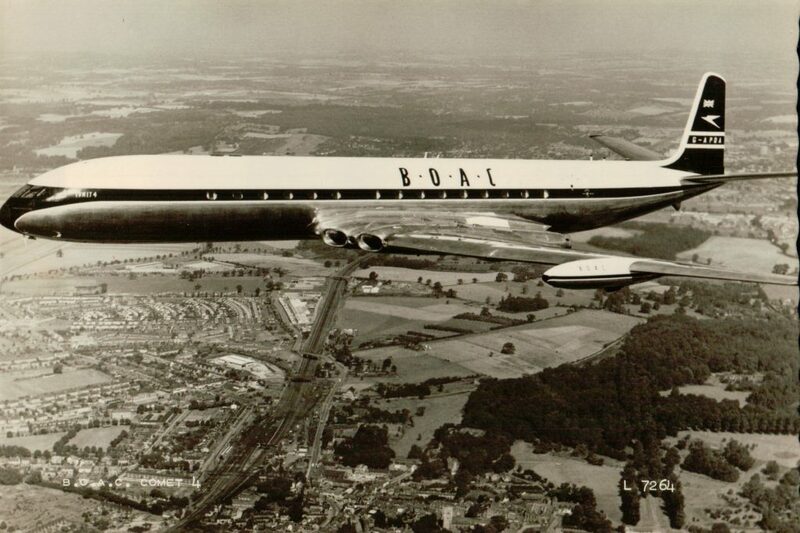 The de Havilland Comet was a product of the Brabazon Committee which sought to ensure British aircraft manufacturers were able to stay in business following the end of the Second World War by developing airliners to address specific needs. Others in the stable enjoyed varying success, and were all propeller-driven. But the Comet was to change the world, developing the brand new jet engine technology to drive an airliner which could fly faster than anything before, while offering comfort to passengers, all at a similar cost to existing flights. This book looks at the development history of the Comet, its service history, the issues surrounding the crashes, and later variants. It also looks at the Comet’s military service with the Royal Air Force and a final chapter covers the production list and survivors. I managed to read through this book in an afternoon. It is not long and relies heavily on images, yet they are all relevant and of high quality – borrowing from the BAe Systems archive, as well as the private (extensive) collections of Peter Keating and John Stroud. As a result the reader gains a unique insight into the operations and important events, as well as the daily life of Comets throughout the entire history of the type, from its first flight in July 1949 till its last in 1997. 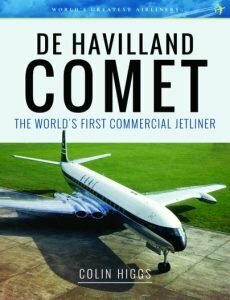 De Havilland Comet – The World’s First Commercial Jetliner is published through Pen & Sword. It is available to purchase here, priced £15.99.